There were 456 press releases posted in the last 24 hours and 153,493 in the last 365 days. 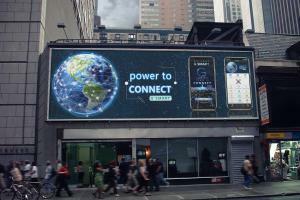 NEW YORK, USA, November 2, 2018 /EINPresswire.com/ -- Since the G Smart App launch event in mid-October, the App has reached 50,000 global downloads within the 1st week and still continue to rise. G Smart Community founder, Stan Bosman also boldly predicted the price of ETH to rise above the USD500 threshold by the end of the year and backed it up by also launching a special promotion. Mr. Bosman is not alone in his assessment on the price hike in the ETH as many experts in the field of cryptocurrency also made similar predictions based on several factors, all pointing to a bullish market for the ETH. As the G Smart Community continue to gain traction on its member base, ETH is also gaining investors confidence that the cryptocurrency will rise to the occasion and recapture its peak price of just below 1400USD and even surpass that figure.